Home » 3XMag with TwistMount and spacer. Aimpoint 3XMag with TwistMount and spacer. The Aimpoint 3XMag for long-range aiming or observation. The Aimpoint 3XMag magnifying module is specially designed for compatibility with Aimpoint sights and for maximum flexibility and better performance in the field. The Aimpoint 3XMag magnifying module is a high quality optic that can be used with any Aimpoint sight for extended range target identification and engagement. This high quality accessory gives the shooter the best of both worlds: rapid CQB aiming with an Aimpoint sight, and long range target acquisition in combination with the magnifier. 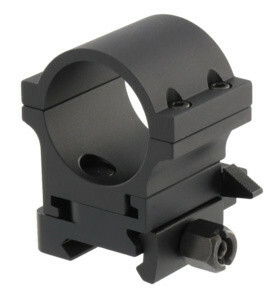 The Aimpoint TwistMount allows this transition to occur effortlessly and in just a matter of seconds. The recommended mount for the 3XMag is the Aimpoint TwistMount, which allows for quick attachment on any MIL-Std 1913 Picatinny Rail. 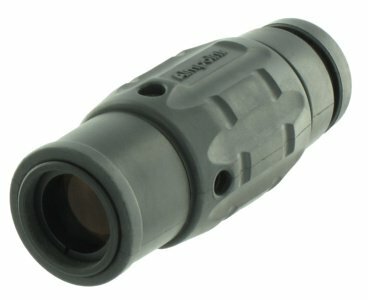 Check if you need a spacer for co-witnessing with the Aimpoint sight. The 3XMag can also be attached to aftermarket “flip to side” mounts. Doubles as handheld magnifying glass monocular.